Obstructions are made to make moving more difficult. 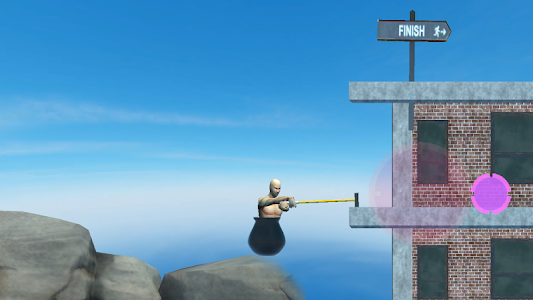 The player has a rigid body and is only equipped with a hammer to overcome the challenge. Control the hammer, push it out of the ground, cross it and stick to the protrusions, climb higher and finish. The hard part is that if you fall down, you have to start over. 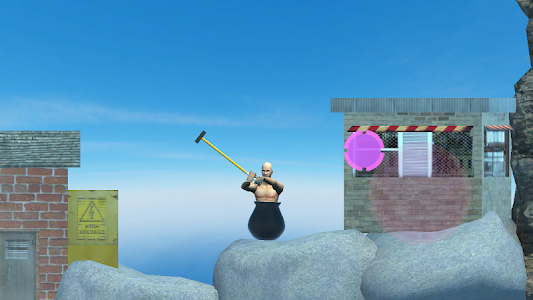 From the first seconds of the game, you will realize that the mechanics of the game are extremely complex and require tremendous effort. The game world is always spinning, you will have to climb through the obstructions of the furniture interwoven with the trees and ruined buildings to reach the destination. This is a game that requires the patience and persistence of the player. 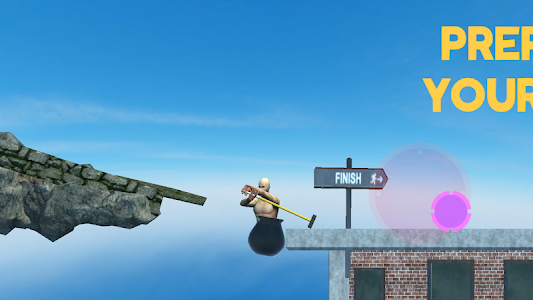 Get Over It 2 is considered the hardest and most frustrating game ever. Do not give up and be determined to overcome your limits. - Use flexible strategies and skills. 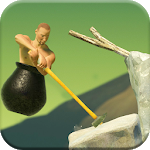 - The game graphics simple, easy to see. Similar to "Get Over It 2"